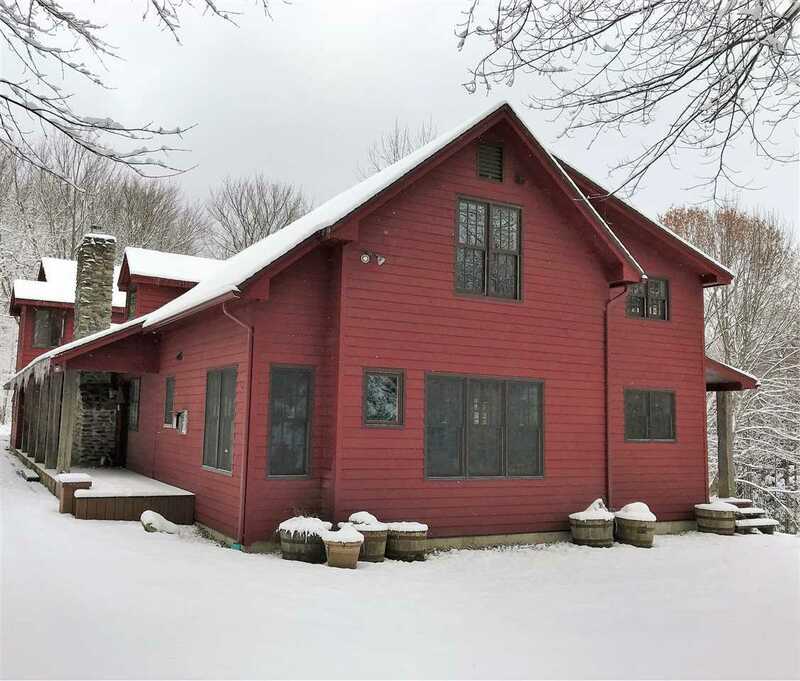 Contemporary farmhouse situated on a 12.5 acre mainly wooded lot just over Fairfield Hill in St. Albans Town. While enjoying the privacy & natural setting, its conveniently located within minutes of the interstate, NMC, & Main Street St. Albans. It&apos;s clearly evident this property is well-appointed w/charm & character as one enters the great room w/its hand-scraped Acacia wood flooring, barnwood beams, & sunken sitting area facing a massive fieldstone fireplace w/gas insert. This huge room features ample seating areas, formal dining & patio doors leading to an Adirondack-style screened-in porch overlooking the back yard. The chef&apos;s kitchen is well-equipped w/high end appliances including double wall convection ovens w/a warming drawer, a 6-burner gas stove top, a 2-drawer dishwasher, a built-in wine cooler, specialty granite countertops, a double basin porcelain farmhouse sink & the gigantic semi-island w/a matching bar sink. To complete this executive kitchen, radiant heat warms the porcelain flooring w/an additional corner gas fireplace. The 1st floor has a lg laundry room & a bedroom w/full bath, used as a guest suite. The back staircase leads to 2 bedrooms w/a shared hall bath & the lg master bedroom w/its wood-burning fireplace. Master has a walk-in closet & a lg bathroom w/double sinks, walk-in shower & jetted garden tub. A home office, a lg comfortable loft overlooking the great room, & studio w/its own 3/4 bath round out this floor. This house truly has it all!